The Sukin Blemish Control Kit is a four-step regime to calm and clear your complexion. Synergising blemish-fighting, purifying ingredients, the skin-refining collection is perfect for achieving a smooth, healthy-looking visage that feels refreshed and rebalanced. A lightweight gel that effectively eliminates impurities without stripping moisture. Harnessing the powers of soothing Eucalyptus, antibacterial Tea Tree and antioxidant-rich Pomegranate, the purifying cleanser gently removes dirt, makeup and environmental pollutants to reveal a clear, healthy-looking visage. Banishes acne-causing bacteria whilst addressing redness associated with breakouts. A revitalising formula that sweeps effortlessly over the face after cleansing to promote a smoother, more refined texture. Infused with a host of beneficial ingredients, including Eucalyptus, Quince and Tea Tree Oil, the purifying toner delivers antibacterial and astringent properties to help target blemishes and breakouts, without stripping moisture. Ginger and Mint soothe and refresh for long-lasting comfort. A fast-acting formula that works to improve the appearance of blemishes in just 30 minutes. Infused with a cocktail of beneficial ingredients, including Tea Tree, Willowherb and Salicylic Acid, the quick-absorbing gel soothes acne-prone skin, whilst minimising visible pores and eliminating unwanted shine. Simply apply to areas of concern as required. Lightweight and non-greasy, the moisturiser delivers long-lasting hydration without unwanted shine. Powered by a botanical blend of Willowherb, Quince and Moringa, the quick-absorbing formula promotes a smoother, more refined skin texture, whilst soothing redness and acne-prone skin for restored comfort. Won't clog pores. Facial Wash: Water (Aqua), Aloe Barbadensis Leaf Juice, Cocamidopropyl Betaine, Sodium Lauroyl Methyl Isethionate, Cydonia Oblonga Leaf Extract (Quince), Punica Granatum Fruit Extract (Pomegranate), Epilobium Angustifolium Flower/Leaf/Stem Extract (Willowherb), Cocos Nucifera (Coconut) Fruit Extract, Camellia Sinensis Leaf Extract (Green Tea/White Tea), Moringa Oleifera Leaf Extract, Salvia Officinalis (Sage) Extract, Zingiber Officinale (Ginger) Root Extract, Mentha Piperita (Peppermint) Leaf Extract, Tocopherol (Vitamin E), Glycerin, Melaleuca Alternifolia (Tea Tree) Leaf Oil, Eucalyptus Citriodora Oil, Rosmarinus Officinalis (Rosemary) Leaf Oil, Lavandula Angustifolia (Lavender) Oil, Tetrasodium Glutamate Diacetate, Citric Acid, Phenoxyethanol, Benzyl Alcohol, Limonene*, Linalool*. *Natural component of essential oils. Toner: Water (Aqua), Glycerin, Aloe Barbadensis Leaf Juice, Cydonia Oblonga Leaf Extract (Quince), Camellia Sinensis Leaf Extract (Green Tea/White Tea), Zingiber Officinale (Ginger) Root Extract, Mentha Piperita (Peppermint) Leaf Extract, Melaleuca Alternifolia (Tea Tree) Leaf Oil, Eucalyptus Citriodora Oil, Rosmarinus Officinalis (Rosemary) Leaf Oil, Lavandula Angustifolia (Lavender) Oil, Caprylyl/Capryl Glucoside, Sodium Cocoyl Glutamate, Salicylic Acid, Glyceryl Caprylate, Polyglyceryl-6 Oleate, Sodium Surfactin, Sorbic Acid, Sodium Hydroxide, Benzyl Alcohol, Limonene*, Linalool*. *Natural component of essential oils. Gel: Water (Aqua), Aloe Barbadensis Leaf Juice, Cetearyl Olivate, Sorbitan Olivate, Epilobium Angustifolium Flower/Leaf/Stem Extract (Willowherb), Cydonia Oblonga Leaf Extract (Quince), Salicylic Acid, Cocos Nucifera (Coconut) Fruit Extract, Moringa Oleifera Leaf Extract, Zingiber Officinal (Ginger) Root Extract, Mentha Piperita (Peppermint) Leaf Extract, Salvia Officinalis (Sage) Extract, Chamomilla Recutita (Matricaria) Flower Extract (Chamomile), Camellia Sinensis Leaf Extract (Green Tea/White Tea), Tocopherol (Vitamin E), Eucalyptus Citriodora Oil, Melaleuca Alternifolia (Tea Tree) Leaf Oil, Rosmarinus Officinalis (Rosemary) Leaf Oil, Lavandula Angustifolia (Lavender) Oil, Glycerin, Xanthan Gum, Sorbic Acid, Benzyl Alcohol, Phenoxyethanol, Limonene*, Linalool*. *Natural component of essential oils. 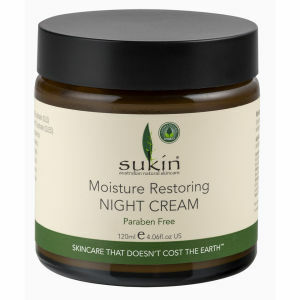 Moisturiser: Water (Aqua), Caprylic/Capric Triglyceride, Aloe Barbadensis Leaf Juice, Cetyl Alcohol, Glyceryl Stearate, Glycerin, Epilobium Angustifolium Flower/Leaf/Stem Extract (Willowherb), Cydonia Oblonga Leaf Extract (Quince), Moringa Oleifera Leaf Extract, Camellia Sinensis Leaf Extract (Green Tea/White Tea), Salvia Officinalis (Sage) Extract, Chamomilla Recutita (Matricaria) Flower Extract (Chamomile), Cocos Nucifera (Coconut) Fruit Extract, Tocopherol (Vitamin E)*, Melaleuca Alternifolia (Tea Tree) Leaf Oil*, Eucalyptus Citriodora Oil*, Rosmarinus Officinalis (Rosemary) Leaf Oil*, Lavandula Angustifolia (Lavender) Oil*, Sodium Stearoyl Glutamate, Xanthan Gum, Phenoxyethanol, Benzyl Alcohol, Limonene**, Linalool**. *Oil-free claim refers to the avoidance of Vegetable and Mineral oils. **Natural component of essential oils.